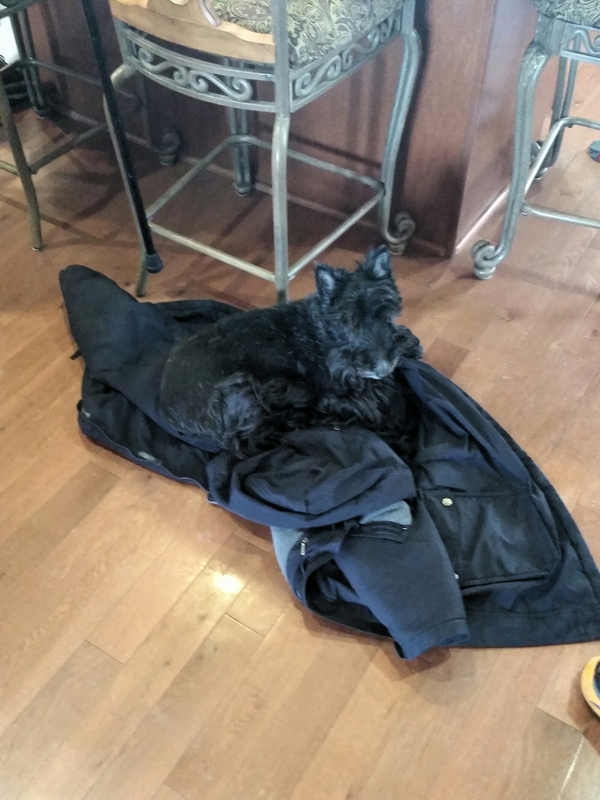 One hoomans carelessly thrown coat on a chair that falls to the ground, is another Scotties improvised bed. As we say in ancient Rome in the original Latin, “Carpe Clutter” – seize the clutter! Previous Post LOST (Faux) SCOTTIE DOG!!!!!! Next Post How do we know dinner is ready? The Fire Department tells us! If it’s on the floor, it is YOURS. It sure is !!! If it’s on the floor it’s fair game !!! I do dat all da time. Have you gone through the pockets ?